Wind Symphony Will Go “Live! On Air” at Family Concert Friday | The Gettysburgian. 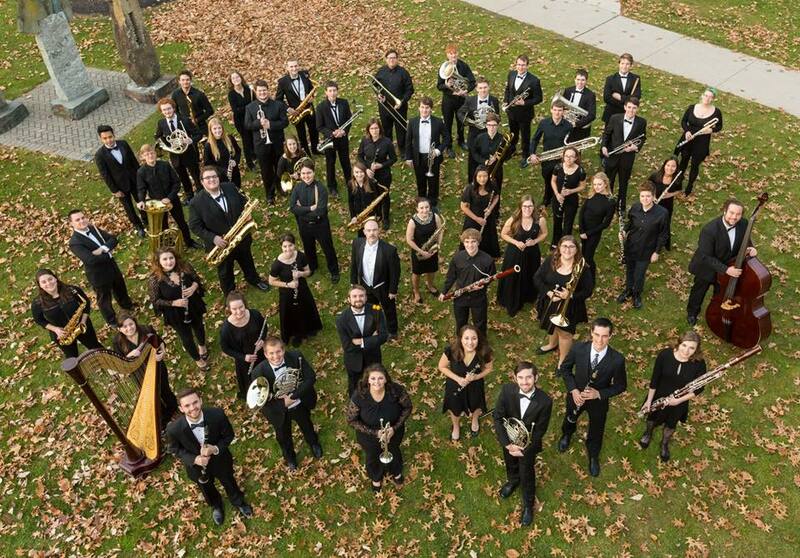 On Friday, February 16 at 8:00 p.m., the Gettysburg College Wind Symphony will take the stage for one of its most unique performances yet. The musicians will play a series of pop songs, each representing a different genre, that a listener might hear while on flipping through the radio stations. Student workgroups collaborated with conductor and former radio disc jockey Dr. Russell McCutcheon to select the pieces, which include favorites like “Shape of You” by Ed Sheeran, “Radioactive” by Imagine Dragons, “Livin’ on a Prayer” by Bon Jovi, “Smells Like Teen Spirit” by Nirvana, and medleys based on the music of Stevie Wonder, Led Zeppelin, and the Beatles. In addition, the symphony will perform a jazz song called “Autumn Leaves” along with Beethoven’s Octet Op. 103 Movement 3: Minuet in Trio. The concert will engage audience members with a novel combination of live and recorded sound as part of a humorous script, which was also written by students. The concert costs five dollars for members of the public, but is free for children 18 and under and students with a Gettysburg College ID. All profits from the concert will be donated to VH1 Save the Music Foundation, which supports public school music programs in elementary and middle schools across the country. For those who cannot attend, the concert will air live on 91.1 WZBT college radio and be streamed online. Sarah Kirkpatrick '20 is a news writer for the Gettysburgian who covers events happening around campus. Kirkpatrick is a Lincoln Scholar with a Psychology major and History minor who hopes to pursue a career in Clinical Psychology or law in the future. Aside from writing for the newspaper, she is also a member of the Bullets Marching Band and a brother of Alpha Phi Omega.